Write a program in C# Sharp to shows how the three parts of a query operation execute. //  The first part is Data source. // The second part is Query creation. // The third part is Query execution. 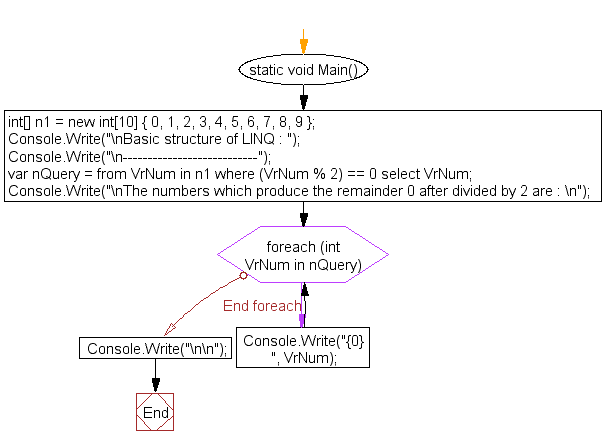 Previous: C# Sharp LINQ Exercises. Next: Write a program in C# Sharp to find the positive numbers from a list of numbers using two where conditions in LINQ Query.